Rainwater catchment systems collect the run-off from a structure or other impervious surface in order to store it for later use. Most commonly, this involves harvesting the rain from a roof. Rain collects in gutters that channel the water into downspouts and then into some sort of storage vessel. 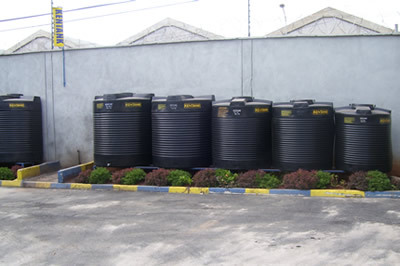 Rainwater collection systems can be as simple as collecting rain in a rain barrel, or as elaborate as harvesting rainwater into large cisterns to supply all or most of a site’s nonpotable water needs. Rainwater collection saves water and money for homeowners. Captured water can be reused for irrigation or other non-potable options or metered out slowly after storm events to allow for infiltration and reduced flooding. Any property or structure in Monterey County will benefit from a rainwater collection system.